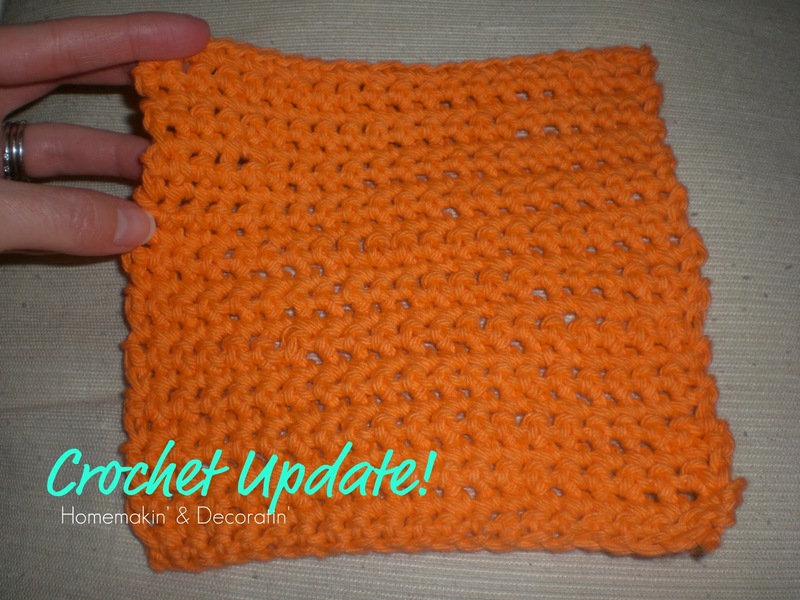 Homemakin and Decoratin: Crochet News..
A few weeks ago I finally started my online crochet learning from youtube videos! The first night that I started I was able to get down the chain stitch pretty good! But I was also pretty frustrated with figuring out how to hold the yarn right in my other hand. So for a couple days I just mastered the chain stitch. I took my stuff with me while I babysat and did loooong lines of the chain stitch, took them out, and did them again, over and over! haha! Then a couple days later I attempted the next step.. I think it's called the single stitch? Not even sure, I just know it was the next row and that was SO SO frustrating! ... so I kind of gave up for a couple weeks. ... I was avoiding it! It's hard to keep track of the rows I make.. I can't tell what a row is when I look at this. Can anyone share with me a way to easily tell and count? I'm now more excited to try some more! Great start. Keep at it! Paint chip earrings for Valentine's! I'm in love with this living room! Munchies vs. Coasters Makeover. .